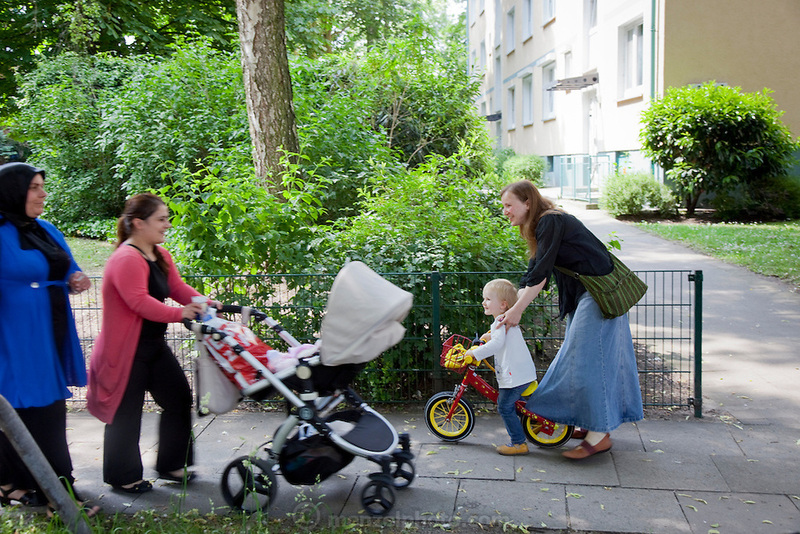 Astrid Holmann of the Hollmann Sturm family in Hamburg, Germany with her daughter Lillith Sturm as they pass two immigrant neighbors in front of their apartment. They were photographed for the Hungry Planet: What I Eat project with a week's worth of food in June. Astrid and Lillith are Model Released.